Did you know that Garden Gnomes have a new, secret garden? In a hidden away garden oasis along Magnolia Boulevard there is a garden bed waiting for you! We are opening up eight beds to be adopted by you, our Highland Hall families and friends, to grow, harvest, and eat your own fruit and vegetables! Jennifer Carlisle, our wonderful garden manager, will help you with all the tools and knowledge to make the magic happen! Children are always welcome! We can think of nothing better than seeing families growing their own food together. Contact ggs@highlandhall.org for more information or to sign up for your very own garden bed. 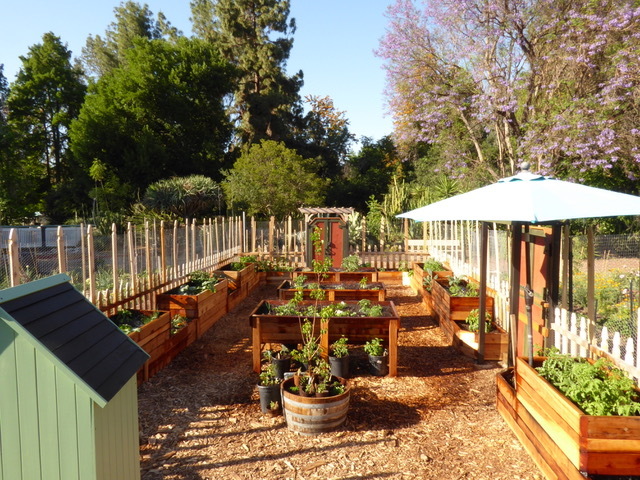 The garden is located in the Sepulveda Garden Center at 16633 Magnolia Blvd. Check out what's growing now! The garden beds at the Annex were made by special design. Deeper middle sections allow for the plants’ roots to grow far down, while also maximizing planting space on the surface. The planters are made of beautiful cedar and redwood materials, and the beds were built largely on-site. The overall garden design was created to enable access for all gardeners. Aisles are built wide enough to allow for wheelchairs and walkers, and planters are built high so that gardeners don’t need to kneel or stand. The Garden Gnome Society founders, Leslie and Orly, felt a strong desire to reach out into the community and bring a little of what we have at Highland Hall to others. 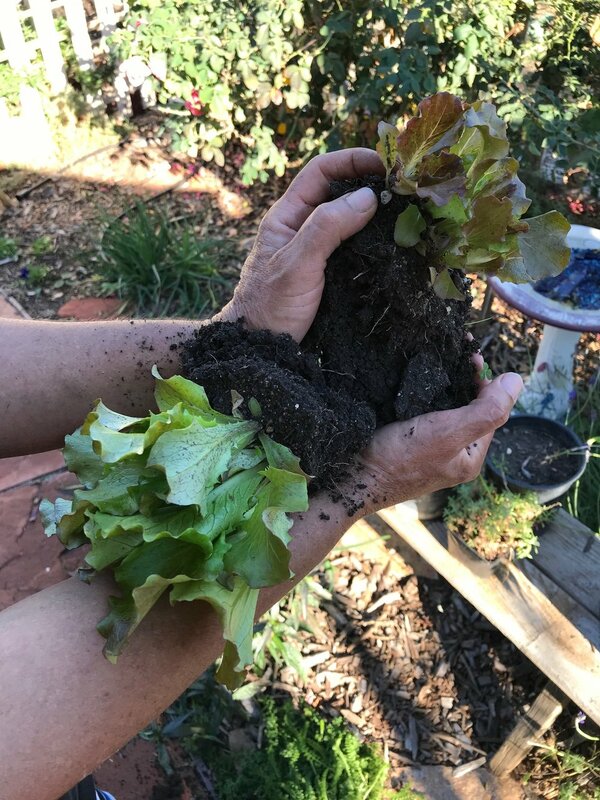 They also wanted to share the beauty of biodynamics to other gardeners, practices which bring health to our gardens and environment as a whole. As the Annex grows, they plan to hold classes on biodynamics and other gardening topics. The Annex is located in the beautiful Sepulveda Garden Center. It’s been a wonderful home for the Annex, as it affords the opportunity for meeting many new friends. The Garden Gnomes invite community groups, gardening neighbors, and curious passersby to come in, sit down for a bit, and share in the fruits of the garden. The Garden Center is a very inclusive setting, and the Annex is surrounded by lovely neighbors who share their knowledge and harvest with us. The Garden Center also holds a beautiful rose garden, a cactus garden, and many walking paths and areas. The Center is also a meeting place for many clubs in the San Fernando Valley. What's growing at the Annex? Check out these beautiful Sierra lettuce transplants given to the Annex by our community garden neighbor! Sierra will grow in hot weather and then reseed itself to come back in the winter! Talk about an easy vegetable to grow!